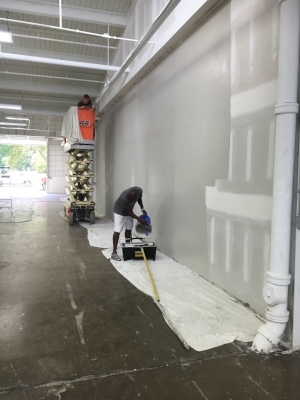 All-IN Painting has been serving the Indianapolis area for many years using hi-lift specialty painting equipment including scissor lifts, swing stage scaffolding, boom lifts, and much more. Not only are we experienced with this equipment, we ensure that we use it properly. Employee and public safety is the most important thing to us, and all of our employees that will be using any type of lift for our commercial and industrial painting projects are properly trained. Our equipment undergoes routine inspections to further protect everyone. If you have a painting project that might require a lift, call us! We’d love to talk about your project with you! If you’re ready to begin your hi-lift painting project, we’re ready to help! Request a free quote online, or call us on the phone if you’d like to chat!